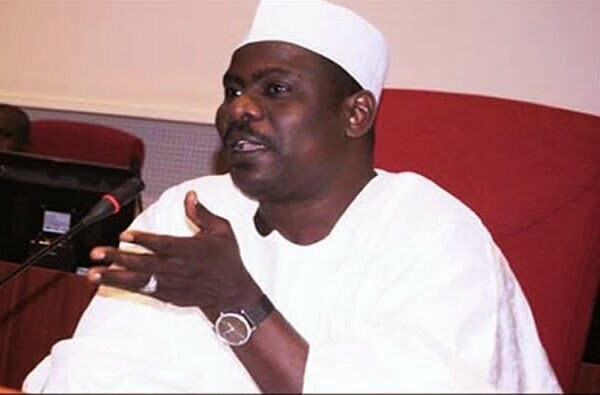 Sen. Ali Ndume, Chairman, Senate Committee on Establishment and Public Service, on Tuesday, backed the proposed new National Minimum Wage of N30,000. Ndume, an All Progressives Congress (APC) chieftain, who represents Borno South Senatorial District, made his position known when he featured on News Agency of Nigeria (NAN) Forum in Abuja. Dismissing state governorsâ€™ opposition to the proposal, he said that N30,000 was not too much and should be accepted and implemented. â€œTo me, N30, 000 as minimum wage is not much and it should be accepted and implemented. â€œNigerians should be paid a living wage, and the law even provides that it should be reviewed every five years. â€œWhen the governors literally say they cannot pay, I just donâ€™t want to agree with that. â€œIf you say you canâ€™t pay, how and why? I was thinking that the argument would be backed by facts. â€œYou know on the average what you get on monthly basis, you know your wage bill, and then you put it up to N30, 000 and then put the figures. NAN recalls that the tripartite committee on the review of the National Minimum Wage recommended N30,000 in its report submitted to President Muhammadu Buhari on Nov. 6. However, state governors who were part of the negotiation, have turned round and are saying now that they can pay only N22,500. Ndume noted that the new minimum wage should be realistic based on the capacity of state governments to pay. â€œDonâ€™t forget that the labour force of Nigeria is less than one per cent of the population, and whatever the state gets is for the whole state, not for only workers. â€œSo, if you say you take the whole money the state gets and pay workers with it, it is also not fair. So, I think there should be balance in this,â€™â€™ he said. The lawmaker also expressed the National Assemblyâ€™s support, through his committee, for a reform of the public service to make it more productive and attractive to the countryâ€™s best brains. He said there was need for reform of the service without necessarily retrenching or downsizing the workforce. â€œThis is important to make it productive, attractive and also to make the work environment conducive. â€œThere is a lot that needs to be done. It is part of not only the National Assemblyâ€™s dream, but one of the basic things that this government wants to do at the next level. â€œThis is because I can say now that people are forced to be corrupt sometimes. â€œWhen, for example, you are paying somebody something that cannot meet his basic physiological requirements for one month and you expect him to be dedicated and diligent, it is not just possible. â€œSo, I am looking forward to be part of the reform, which I think is the next thing to be done,â€™â€™ he added.